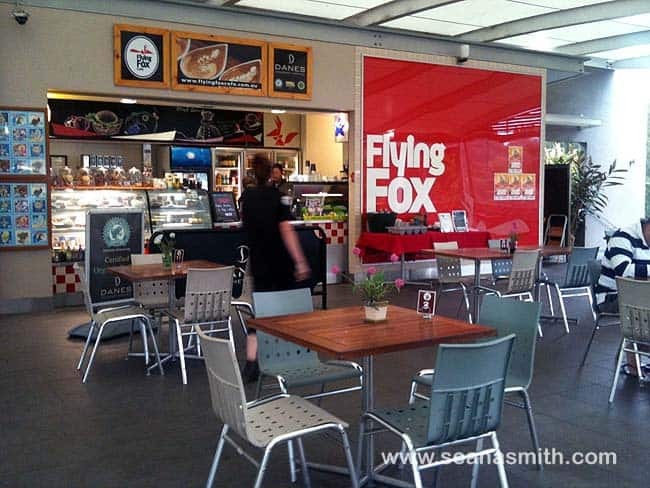 Flying Fox Cafe is a terrific child-friendly cafe for Sydney families. The Flying Fox Cafe is such a lovely spot. It’s been designed to be family-friendly and succeeds very well. The Cafe os slap bang alongside a very large, fully-fenced playground, with lovely water views, in an extensive park. 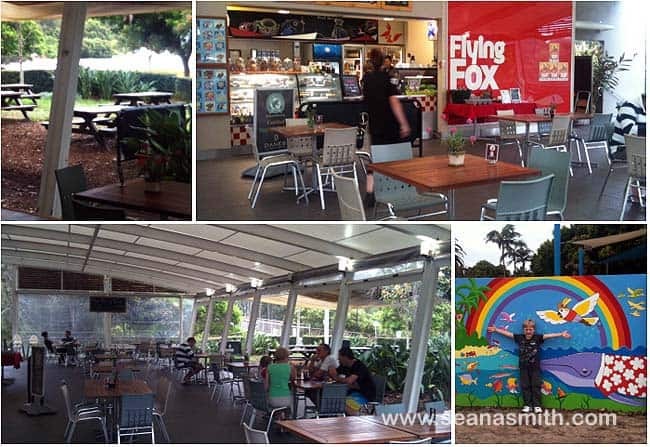 No wonder Flying Fox Cafe is one of the areas best-known meccas in Mona Vale for anyone with a young family. A lovely spot! This cafe is right beside a wonderful playground and caters very well for families. There are some toys for the children, plenty of space for strollers. Flying Fox Cafe has very lovely water views over peaceful Pittwater, and there is a lot of undercover and outdoor seating in which to enjoy those views. The cafe is not at all near any roads or cars, however the water is pretty close and there’s only hedging and grass between the water and the cafe, so look out if you have a bolting or wandering young child. You can enjoy coffee and cakes, excellent breakfasts and light or full lunches. The cuisine is modern Australian. There is a terrific kids menu with some good, healthy options— hooray, this is all too rare! Mum’s report: Lots of indoor and outdoor seating. This is a good spot for a snack whilst out for a play, or for a proper family meal out. Parking: There is a carpark beside the playground, off Mona Street, or park on Mona Street then walk across the parklands to get to the playground. Have you been to this gem of a cafe? Shall we meet there in a minute for a cuppa? Oh dear, that doesn’t sound good. Was it a very busy day or public holiday? I have been a few times with no issues but never on a very very busy day.